Do not enter the cave if it is raining, rain is forecast, it looks like it is raining on the Craigieburn Range, or the Broken River / Cave Stream is running discoloured or high! It only takes about 30 minutes for heavy rain on the ranges to reach the cave entrance and cause flooding. 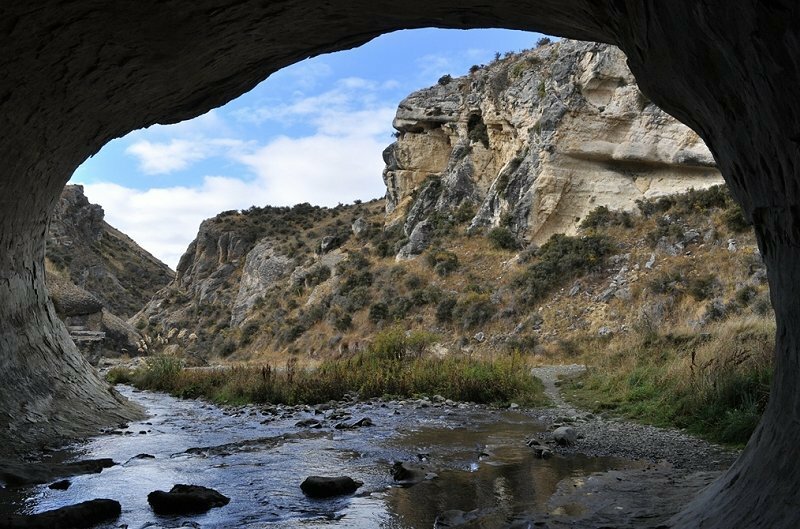 Cave Stream Scenic Reserve is 46km from Arthur's Pass Village towards Christchurch. The turn off to the reserve is easy to miss - it is on the left hand side as you are driving towards Christchurch, in the middle of a large bend just before the descent to cross Broken River. A metalled road leads to a car park on the terrace above the cave. The reserve covers 16 hectares, the main feature being the cave itself, but the area is also the site of some spectacular limestone cliffs, gorges and outcrops of limestone boulders. The cave or tunnel, is formed by the Cave stream, as it flows through serpentine underground passage for 594 metres (it is only 362 metres between entrances on the surface). 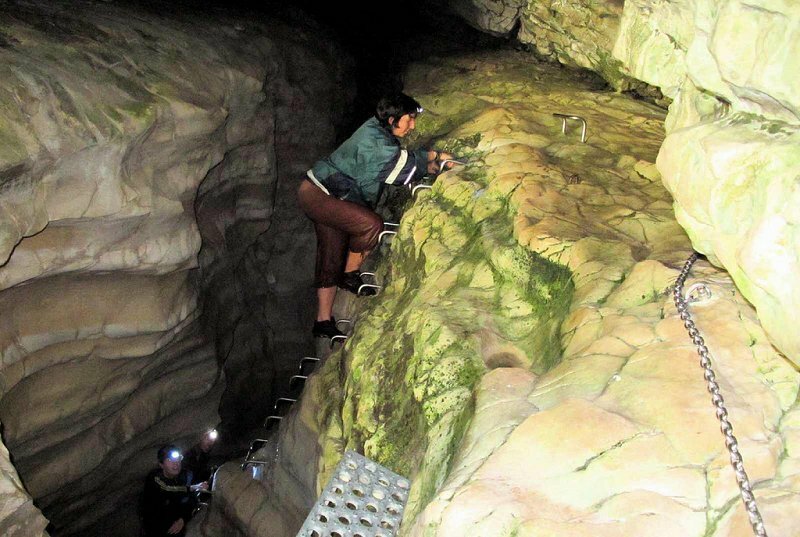 The cave can be traversed with care by inexperienced cavers. To simply view the cave; two lookout platforms exist overlooking the upper & lower entrances. The best way to traverse the cave is to enter the cave at the outlet end. Follow the new track to Broken River, you may need to cross the river twice to get to the cave. If the river is too high to cross, more than likely the water level in the cave will be dangerously high as well and should NOT be entered! Within the cave, scour holes, terraces and waterfalls can be seen. Towards the inlet of the cave is a 3 metre waterfall. There is a stainless steel ladder and chain at the inlet end (this traverses above a waterfall). If you have young children or inexperienced party members it may be wise to provide a rope for this section as well. 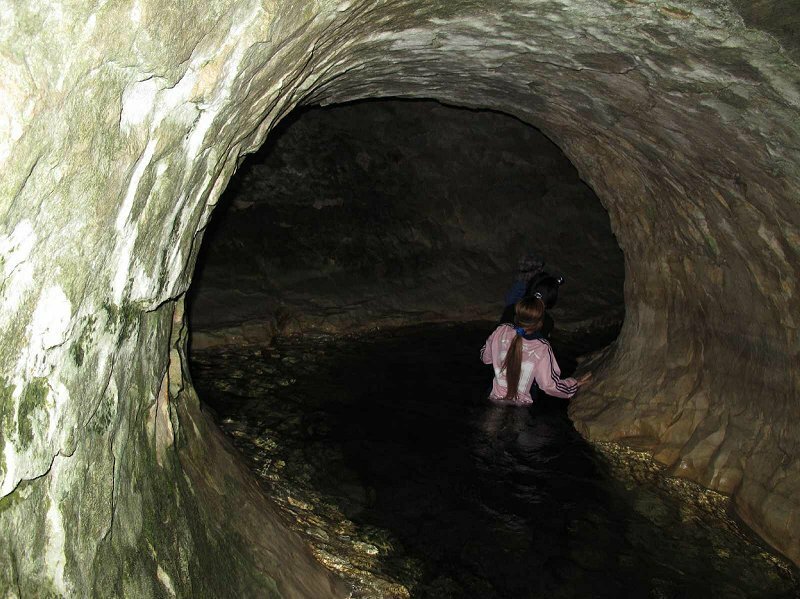 The level of water in the tunnel varies but the stream can be very deep in places. 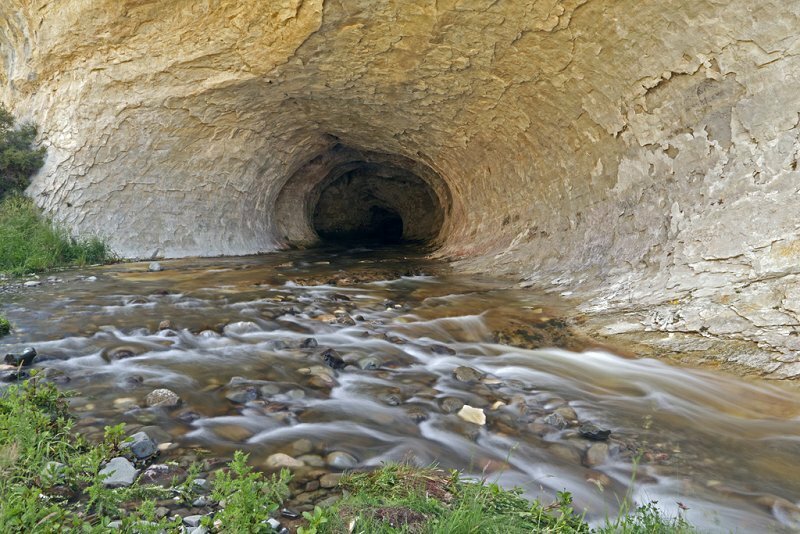 If it is raining (or appears to be raining on the Craigieburn Range) or the stream is abnormally high, discoloured or in flood, DO NOT ENTER THE CAVE! The average time to go through the cave is approximately one hour. Time between entrances on the surface is about 15 - 20 minutes. The best season to visit the cave is December to April, outside this season the water can be extremely cold with snow-melt off the mountains. Good reliable torches are essential as most of the way is in pitch darkness. Take spare batteries, and even a spare torch. Head torches are recommended so your hands are free for climbing. Put a neck lanyard around hand torches so you don't accidentally drop them. Although it is not recommended to enter the cave alone, if you are, take at least two sources of light! Warm clothes (thermal underwear, nylon shorts, woollen top; wet-suits are best), as the tunnel is cold and damp. Sturdy shoes. If you have young children or inexperienced party members it may be wise to provide a rope for the exit ladder climb. Dry clothes to change into as you will get wet. Anywhere between July and December young Long Fin Eels (Elvers) migrate up the Waimakariri & Broken Rivers from the sea. 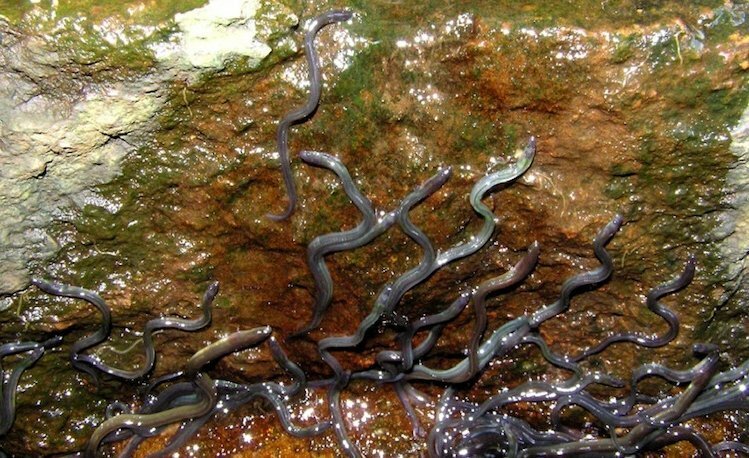 Many of these Elvers climb through the cave. It is not unusual for them "hitch a ride" up some of the small waterfalls in the cave by attaching to your body - although a somewhat disconcerting experience they are completely harmless.